Summer may have just officially begun, but at Walt Disney World Resort, we’re already preparing to fill Magic Kingdom Park with frightful delights and deck the halls this holiday season! Whether you’re heading to Mickey’s Not-So-Scary Halloween Party this fall or Mickey’s Very Merry Christmas Party this winter, make the evening even more magical with these delicious additions. If you’re planning on attending Mickey’s Very Merry Christmas Party, have a holly jolly time at the Wishes Fireworks Dessert Party, select nights from November 7 to December 22. Take in Mickey’s Once Upon a Christmastime Parade with reserved viewing on Main Street U.S.A., afterwards, take in fa-la-la-fantastic views of Holiday Wishes: Celebrate the Spirit of the Season fireworks while enjoying festive treats at a private dessert party at Tomorrowland Terrace. 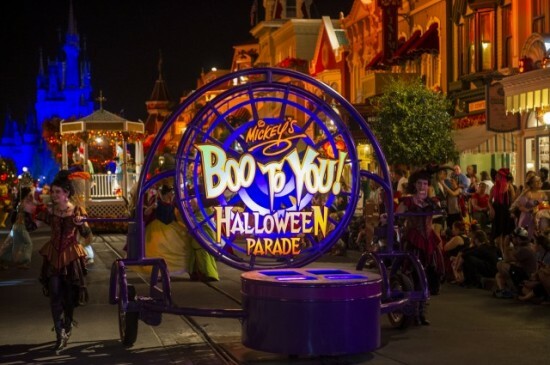 A valid ticket to Mickey’s Not-So-Scary Halloween Party or Mickey’s Very Merry Christmas Party is required to attend the fireworks dessert parties or to make dining reservations on event nights. Reservations can be made by visiting DisneyWorld.com/dine or calling 407-WDW-DINE.